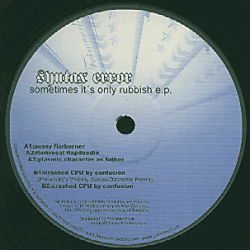 Sometimes It's Only Rubbish E.P. 2004 !!! Techno - Experimental. Remix by Paradroid. 2005 !!! Techno - Experimental. Remix by Raiki. 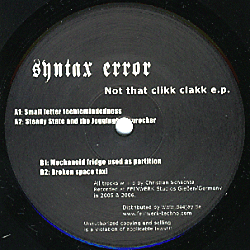 Not That Clikk Clakk E.P. 2006 !!! Techno - Experimental.